Observe your administrative processes and count the number of reworks that each dossier goes through: incomplete files, missing validations, faulty data to be corrected, etc. Repairing non-quality increases time indefinitely and makes customers lose patience. However, reworks are not inevitable: it is possible to eradicate them by encouraging intense collaboration among the different actors and stabilizing each work cycle. This is the way to optimize corporate functions. Here is an example of an optimization project we led in an HR department. The results were spectacular and... long-lasting! 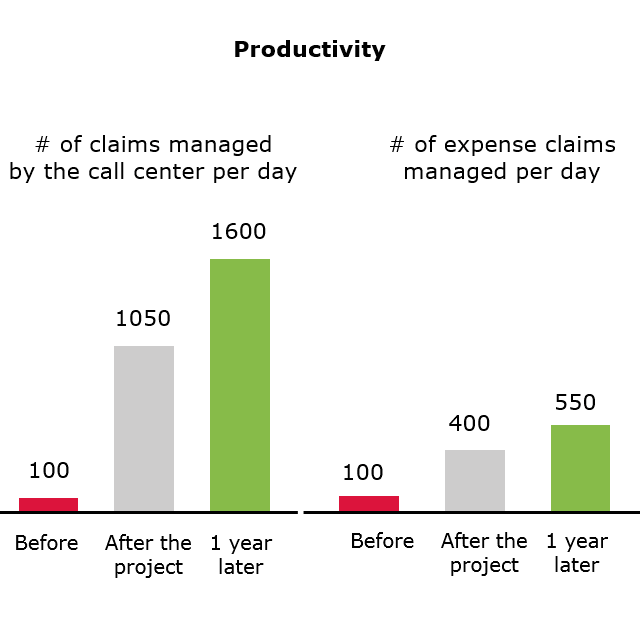 A team of 40 people in charge of the HR call center and expense claims had to improve their productivity in order to satisfy their users faster. At the call center, key improvement actions included HR process simplification, work standardization and employee training. The team also set itself the target to close requests on the first call. 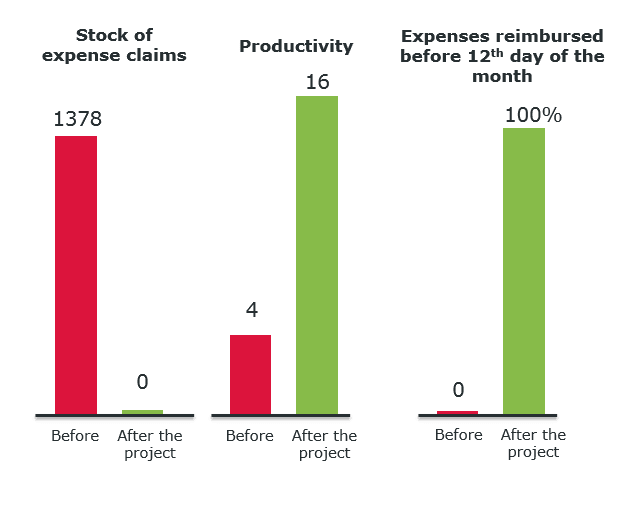 With regards to expense claims, the main improvement actions put in place by the team were a simple visual management for planning and following dossiers, a process for systematically handling errors, and adding some new services requested by users. 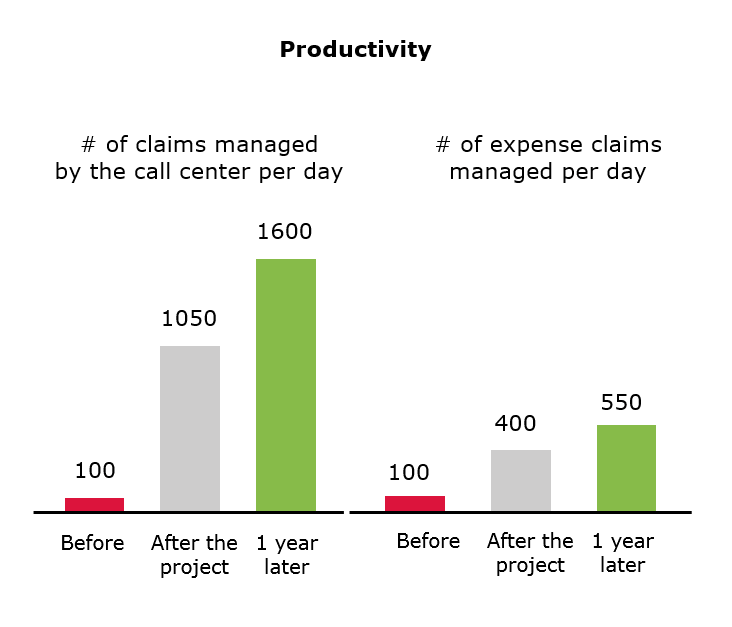 In only 3 months, the call center had multiplied their productivity by 10, and the expense claim team multiplied their productivity by 4. 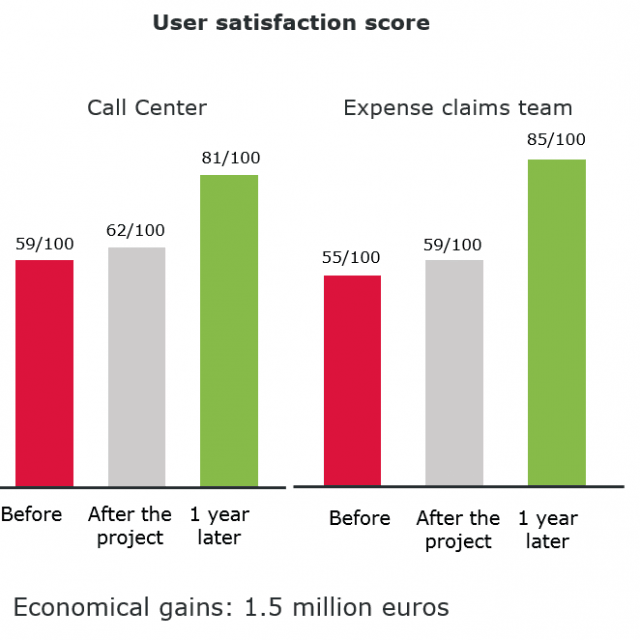 In both cases, customer satisfaction increased dramatically. 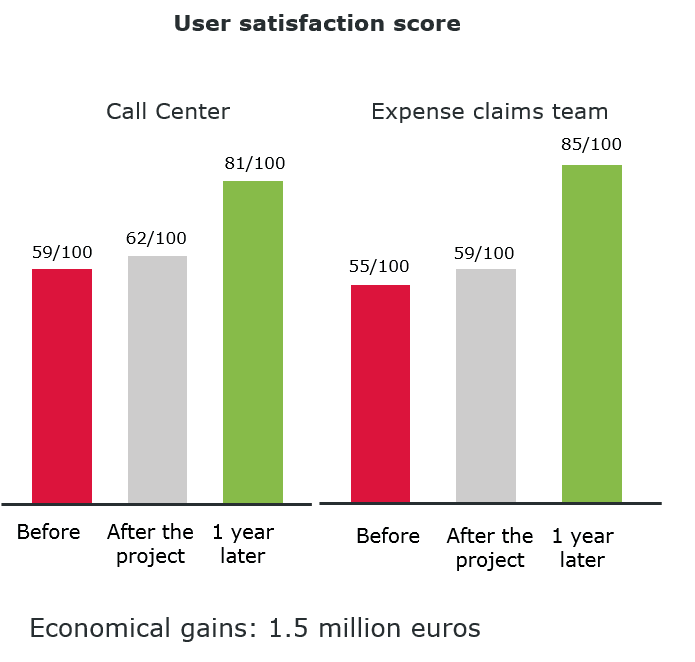 One year after the beginning of the Lean project, results were even better: the call center productivity had increased by a factor of 16, and the expense claims team by a factor of 5.5. In terms of ROI, the project was worth 1.5 million euros. 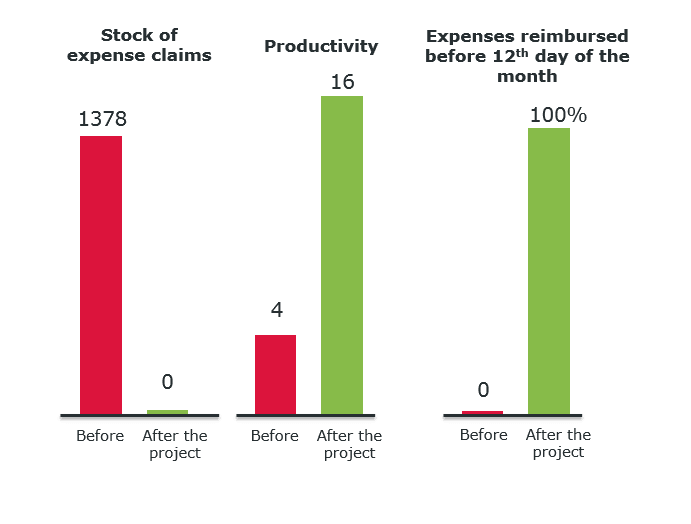 A 10-person team in charge of reimbursing collaborators’ mission expenses had accumulated a large stock of claims. As a consequence, workers had to wait up to 6 months to obtain a refund of their professional expenses. Reimburse each claim before the 12th day of the month. Several improvement actions allowed the team to reach all objectives by the end of the Lean project, including flash meeting every morning to distribute work, setting daily production targets, and developing new work standards. Employees are now systematically reimbursed before the 12th day of the month!